Visit the town of Slovenske Konjice on this day trip from Ljubljana that introduces you to the wine and natural beauty of the area. 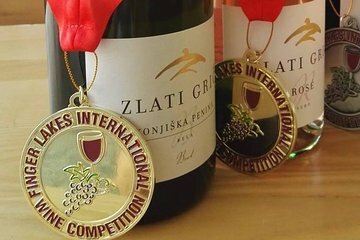 As you visit a wine estate in the Podravje winemaking region, you'll learn about the varietals produced here and enjoy wine tastings. Plus, you'll have the chance to see deer. The tour guide is very friendly and helpful and gave us a lot of useful information. Time arrangement is also good and brought us additional surprise too!